These two lovely early 17th century Christmas melodies are beautifully arranged for a double flute choir. 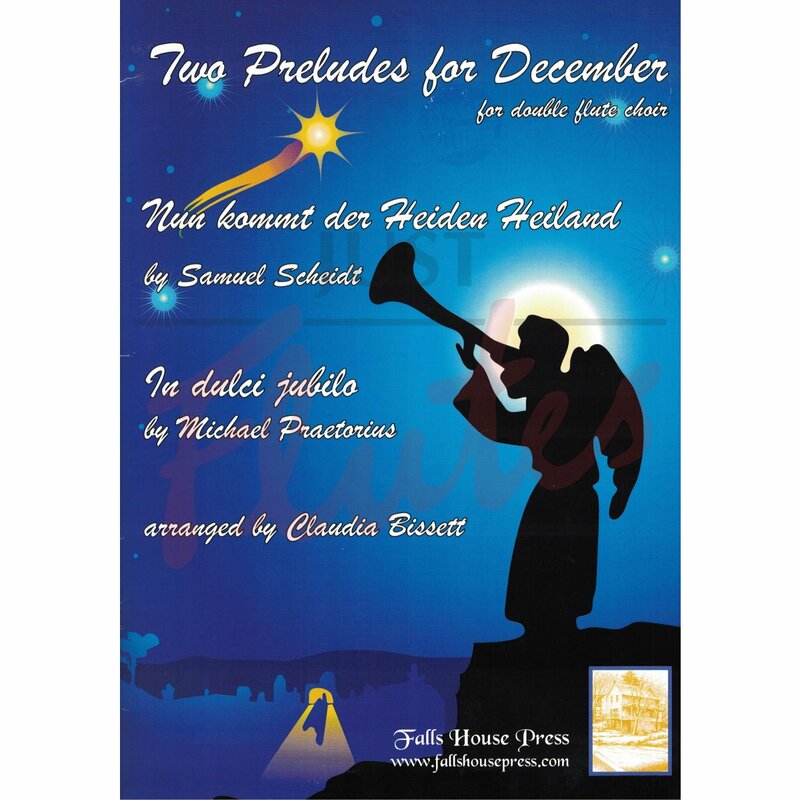 The contrast between the peaceful but unfamiliar work by Samuel Scheidt and the well-known Praetorius In Dulci Jubilo make the pair ideal for concerts. Although the parts are quite straightforward, a good performance would benefit from good intonation and immaculate ensemble playing. A welcome change from either carols or Christmas pop songs, they are highly recommended. Michael Praetorius (1571-1621) and Samuel Scheidt (1587-1621) were both great German church musicians of the late Renaissance/early Baroque. Nun kommt der Heiden Heiland is a hymn for the Advent season, while In dulci jubilo is well-known as a Christmas carol in many countries. Each prelude was composed to be performed by 2 consorts of matching instruments, whether voices, viols, recorders or brass. 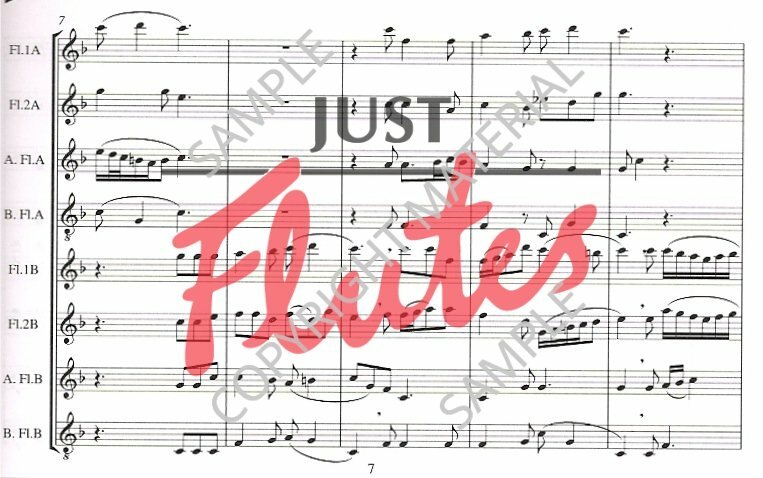 In this arrangement for double flute choir, the articulations and phrasing mimic the correspondence of the lyrics to the notes, and should be followed exactly. There are no dynamic markings but the volume changes naturally as the number of players increases and decreases throughout each piece. 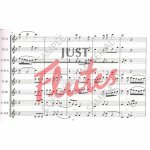 Each flutist should keep vibrato to a minimum, concentrating on matching timbre and tone with the other performers.